Unrelenting delays at family law courts have led a group of lawyers to do what the court can’t – clear cases for people stuck in the system for over a year. And they are currently doing it for free. Earlier this year, Georgie Stone made headlines for her plight to change the fact that Australia is the only place in the world where young transgender people must go to court to get hormones. Georgie says she was lucky to be supported by pro bono lawyers. The Productivity Commission’s latest ‘Overcoming Indigenous Disadvantage has underscored the pressing need for reform to combat catastrophic rates of Indigenous imprisonment. Christopher Horan QC has been awarded to the Victorian Bar Pro Bono Trophy for his exceptional and ongoing commitment to pro bono work since 2009 in constitutional and administrative law. Since 2009 he has undertaken 14 pro bono matters through Justice Connect. 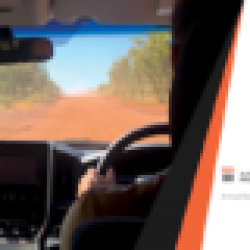 A free legal advice service for people participating in the Northern Territory’s inquiry into the juvenile justice and child protection systems has been launched. Deng Adut saw tragedy and suffering at an age when most young Australians are learning to read and forging their first friendships in the schoolyard. … He taught himself to read while working the night shift at a Blacktown petrol station and later graduated with a law degree from WSU. He is now studying for his second master of laws, this time in criminal prosecution, at Wollongong University. A co-founder of AC Law Group, a law firm with offices in Sydney, Redfern and Blacktown, Mr Adut helps troubled youths in western Sydney through pro bono cases. Partner Andrew Komesaroff reports on his recent secondment to Arts Law where he met with local Indigenous artists in two communities in Far North Queensland. The National Association of Community Legal Centres has welcomed an open letter from the heads of state and territory law societies calling for the reversal of the funding cliff facing Community Legal Centres and funding for the legal assistance sector. The letter echoes the concern expressed by leaders of pro bono practices at major law firms about the funding of Community Legal Centres in another open letter published in The Australian in June this year. The heads of Australia’s eight law societies representing more than 60,000 practising solicitors have called on the Prime Minister to return funding to the legal assistance sector in an open letter. Many members of the LGBTQ community are fearful that they will face new obstacles after Trump takes over. Allies are using the hashtag #TransLawHelp to raise money and help trans people get the legal services they need pro bono. The Law Society of England and Wales, the Bar Council and the Chartered Institute of Legal Executives (CILEx) have set up a joint working group to examine the viability of a contingent legal aid fund (CLAF). Pro bono service is part of the very DNA of our justice system, because accessing it shouldn’t have a price tag or be limited only to those who can afford it. Leading City firms should not be forced to help fund access to justice through a compulsory levy, an event to launch the Law Society ‘Pro Bono Charter’ heard today. In the latest sign of City hostility to the concept, Hogan Lovells chair Nicholas Cheffings suggested such a levy would distract firms’ attention from voluntary pro bono activities. The Law Society has kicked off National Pro Bono Week by launching a pro bono charter and manual aimed at enhancing the voluntary practice carried out by law firms. Signatories to the charter will commit to improving access to justice for those unable to pay for legal help or access legal aid, while the manual aims to support firms in developing sustainable, reliable, and effective pro bono programmes. Every year lawyers across England and Wales volunteer nearly two million hours of free legal advice to some of the most vulnerable people in our society… On 7 November, to meet demand, the National Pro Bono Centre is launching an online matching service that will connect lawyers with organisations across England and Wales that provide pro bono services and need more legal experts.